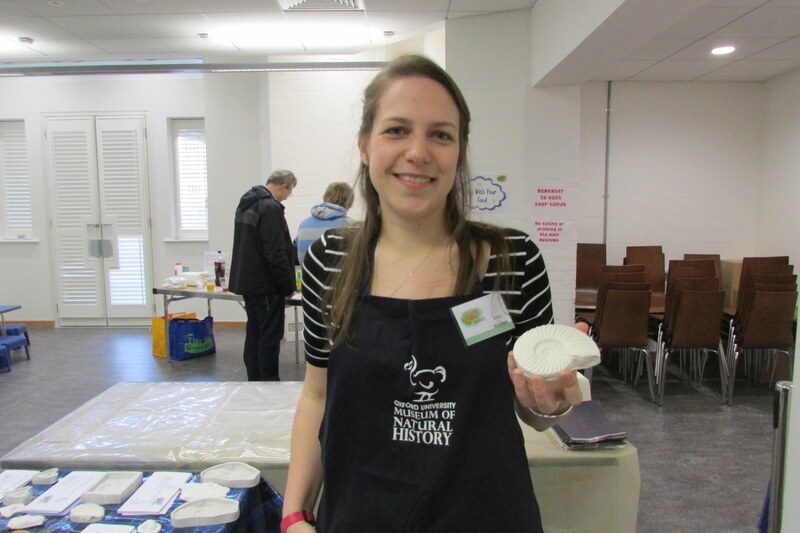 Recently, I have given up some of my time to help with a bit of volunteer science communication at the Oxford University Museum of Natural History. This week’s lab blog post is a perfect opportunity to share my experience. As a past student of Oxford University I have always been aware of this amazing resource. 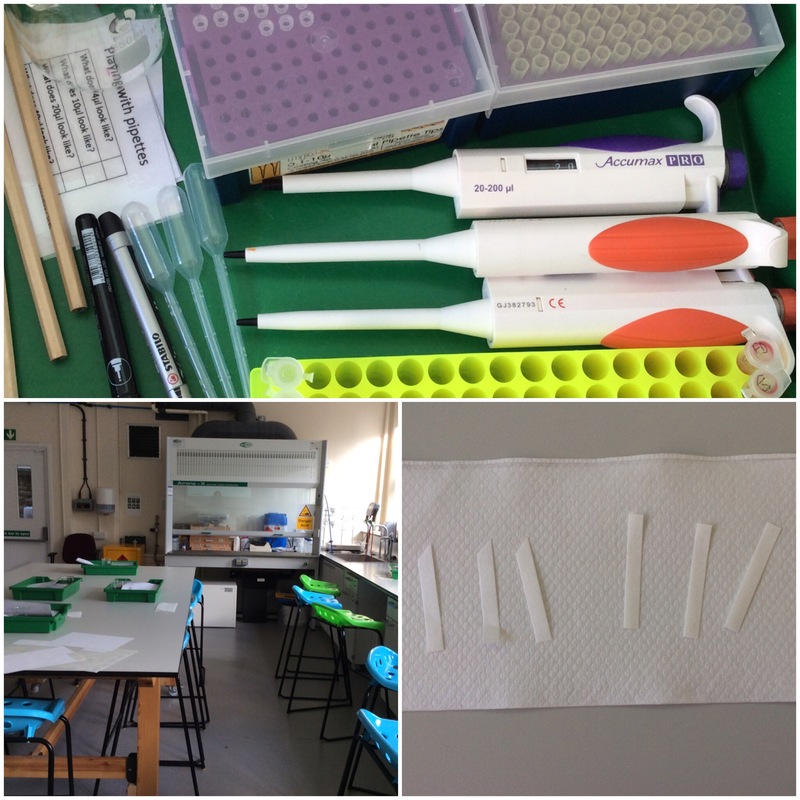 The museum encourages a great deal of science communication and this week I have helped out with running DNA workshops for A-level students at the “Wow! How?” annual family science fair. But what to Brachiosaurs and brussel sprouts have to do with wasps? Ok, well Brachiosaurs, maybe not that much, but its amazing how easily you can pull wasps into a conversation about sprouts! In the 1930’s a chemist named Arthur Fox accidentally released some finely powered phenylthiocarbamide or PTC into the laboratory. A colleague quickly mentioned the unpleasant bitter taste this caused to them, Fox however could not taste anything. This raised questions in Fox’s mind and, as a result, he asked friends and family to try tasting PTC and recorded their bitter taste response. This accident has since become one of the best known examples of Mendelian genetic inheritance in humans [1, 2]. Our ability to taste bitter food comes, in part, from a bitter taste receptor gene found on our tongues called TAS2R38. This gene encodes for the PTC protein that produces a chemical similar to that found in vegetables belonging to the Brassica genus. Hence, it is often put forwards as the gene that determines whether or not we like brussels sprouts . We inherit two alleles of this gene from our parents and in the gene sequence there exists a single nucleotide polymorphism (SNP). At this particular SNP our nucleotide base is either a Guanine (G) or a Cytosine (C) . A person who is homozygous CC is likely to have strong bitter taste response to PTC, whereas a person who is homozygous GG is unlikely to taste bitter PTC. Being heterozygous CG means you are likely to be able to taste PTC but not have a strong negative reaction. 1) strong tasters, who could instantly taste the bitter PTC. 2) weak tasters, who over a few minutes developed the bitter taste of PTC. 3) non-tasters – who even after a few minutes could not taste PTC. The students were then give the opportunity to carry out some common lab techniques. Firstly, they extracted DNA from their own cheek cells followed by amplification of the TAS2R38 gene by carrying out a polymerase chain reaction (PCR). The resultant PCR product was then treated with a restriction enzyme digest that would cut the gene depending on the nucleotide base at the SNP. Finally using gel electrophoresis the students were able to visualise the DNA and see if their phenotype equally matched with their genotype, reflected by the number of bands present on their gel. Many of the techniques they used are similar to those that we conduct in the lab to study the relatedness between females in colonies of paper wasps, so it is possible to get brussels sprouts and wasps into the same conversation! As Seirian’s recent Soapbox Science blog post pointed out families have one of the biggest impacts on a child’s decision to pursue science as a career. This is where events like “Wow! How?” really come into their element. This annual science fair is designed especially for families, with a big emphasis on learning about science through trying it hands on. Events varied from bug handling to how to survive on an Antarctic expedition. Over the course of the day I worked on the fossil-casting stand, helping people to create their own fossils from plaster of paris using silicone moulds. 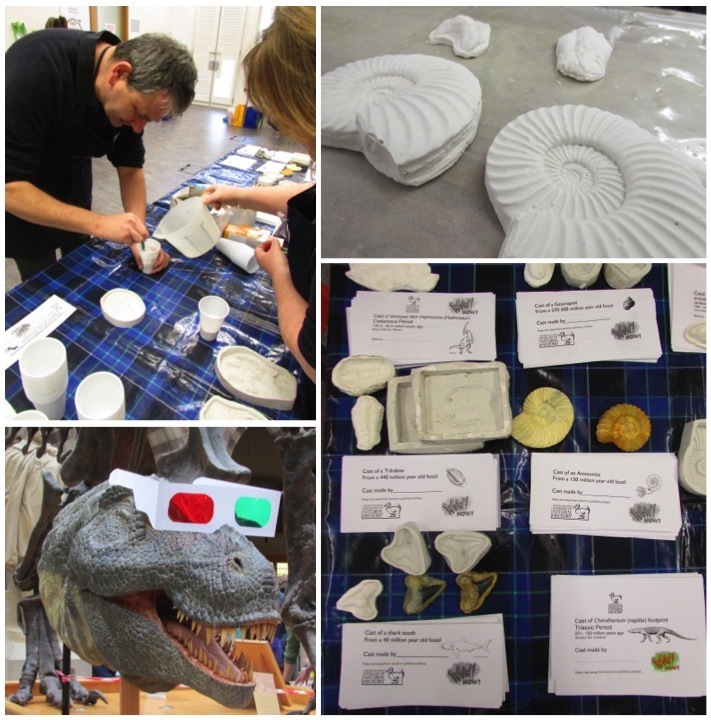 All of the moulds were made from fossils within the Museum collection, giving families the potential to explore and find the real examples of the replica they created. Casts of fossils are a vital part of paleontological research and key features of most natural history museum collections. Casts of many key specimens in the fossil record have been created and shipped to various museums and collections allowing people from all over the world to view them. Another benefit of fossil casts is giving people the opportunity to physically handle and study exact replicas of fossils whilst causing no risk or damage to the original. Even with these few simple castes we made over the course of the day it was easy to see how direct interaction and handling of such objects really can inspire people. Taking part in these events this week has been such a fun and rewarding experience and who knows maybe this week I may have encouraged a few people to think about studying science in the future? This was my “Wow! How?” discovery of the day and it is really easy to try at home. Mix a 2:1 ratio of custard powder and water in a large container (washing up bowls are ideal) until thick and lump free. Once mixed, try punching it or grabbing a lump and rolling it into a ball between your hands. The liquid will quickly become like a dry powder under the pressure of your grip and remain solid. If you made enough you would even be able to walk across it! The instant you release this pressure it will return to liquid and run through your fingers, or toes. The science – the custard powder becomes evenly dispersed throughout the water but does not dissolve or form a suspension. Under pressure the custard powder particles collide together creating friction causing it to act like a solid, when there is little or no friction it acts like a liquid – amazing! Fox, A.L. (1932) The relationship between chemical constitution and taste. 18 (1), 115. Blakeslee, A.F. & Fox, A.L. (1932) Our different taste worlds PTC as a demonstration of genetic difference in taste. Journal of Heredity. 23 (3), 97-107. Dinehart, M. et al. (2006) Bitter taste markers explain variability in vegetable sweetness, bitterness, and intake. Physiol Behav. 87(2), 304-13. Calò, C. et al. (2011) Polymorphisms in TAS2R38 and the taste bud trophic factor, gustin gene co-operate in modulating PROP taste phenotype. Physiology & Behavior. 104 (5), 1065-1071.